Grosgrain: Freeze Popsicles in Only 7 Minutes! 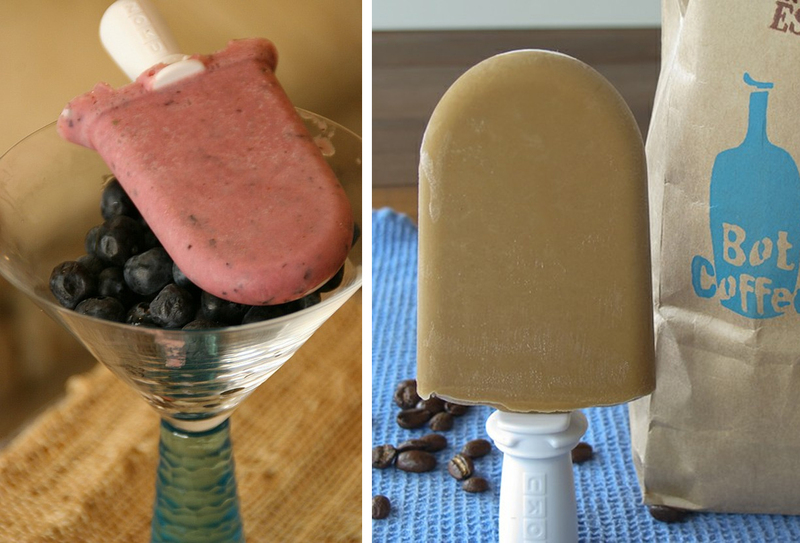 Freeze Popsicles in Only 7 Minutes! I was talking to a friend a couple days ago about why there's no anti-microwave. I could really go for something that would slow down molecules to freeze food quickly. While I don't think that there's anything that works like an anti-microwave, this is the closest thing I've found and it looks pretty interesting. 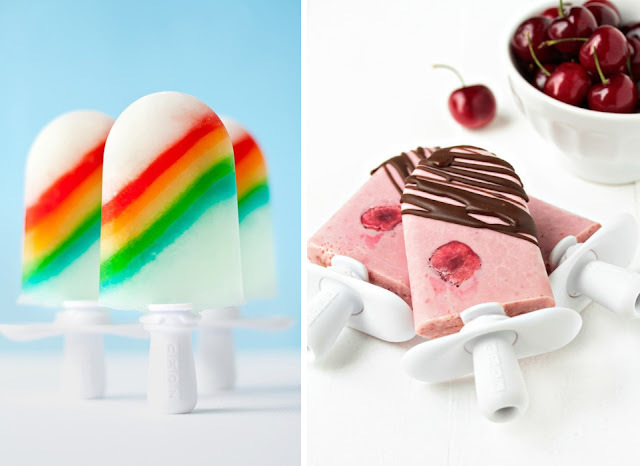 I love the idea of making yogurt pops in minutes, striped pops, icrecream pops dipped in chocolate, puree fruit pops in minutes. The website says it will freeze the pops in seven minutes. Ooooo, how bout coffee pops? Yum! The downside is that it only makes three at a time. The Zoku version is $50 but I've seen cheaper versions by Hamilton Beech and West Bend but some of the reviews for the Hamilton Beech pop maker were negative citing difficulty removing the popsicles from the molds. If $50 is too much for you Zoku also sells a dual maker for $37 or even a single maker for only $25. Check out the unboxing of a Zoku in the video below. Everyone i know that has one of these brags about their awesome popsicles all the time. I really want one. OMG Kathleen, THANK YOU SO MUCH for featuring this. I just ordered mine and should get it in about 1 week. I can't wait ! It allows you to eat healthy and fun at the same time. And also, it takes away one of my pet peeves from other popsicle molds: difficulty to get them out of the mold. It is unbelievable ! I also bought the accessory kit. Thanks again ! This is going to make my summer !! !